In 2015, Elmer won first place in the undergraduate division of the National Trumpet Competition! Elmer Churampi appeared on Show 268, recorded in February 2013, at age 16. 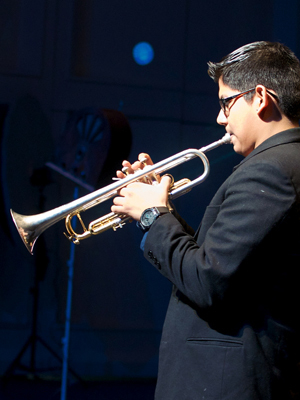 Elmer Churampi (trumpet), 16, is originally from Lima, Peru, but currently lives in Michigan where he is a student at Interlochen Arts Academy. He is a student of Ken Larson and also plays in his school’s band and orchestra. 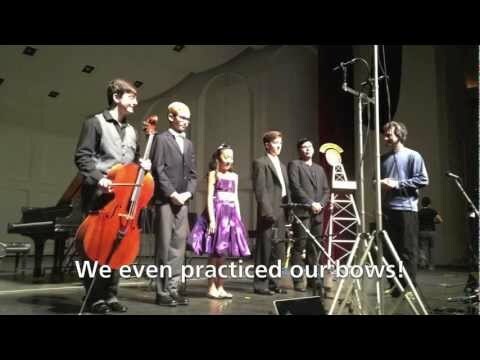 Recently, he participated in National YoungArts Week in Miami as a YoungArts finalist. He also plays piano and jazz trumpet and enjoys playing soccer in his free time. Elmer is a Jack Kent Cooke Young Artist.